There might be a lot of concern about a poorly drafted Wills or Trusts document. While your will entails your assets and whom you want to have it when you’re gone, your living Trusts entails the methods or procedures by which these assets are transferred to the designated people and also how your affairs are managed even in your lifetime. The Trusts is a more complicated document than the will. There are various ‘purported’ legal Wills and Trusts documents online. If you are not a practicing lawyer, you shouldn’t meddle into such. It is better you hire an attorney to help you through them. Moreno Valley is one city where there are several hundreds of individuals with large assets and therefore there has to be a high need for ‘Wills and Trusts.’ Rawa Law Group is a credible law firm that you can get access to even from Moreno Valley. We have some of the most dedicated attorneys in the state. The most important legal advice is what we give you to avoid any pitfalls during the transfer of your estate. We provide customized services to clients and do well to meet them wherever they please – whether homes, offices or even hospitals. In the same vein, our appointment hours are flexible too. Some people shy away from hiring attorneys except for serious issues because of the charges. 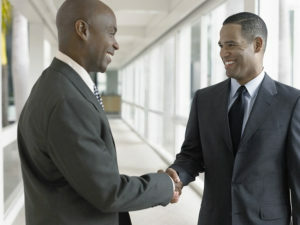 Well, we offer a free consultation and you may only worry about payment after we have drafted your documents properly. The rule of law of the city plays a vital role in the procedures and we ensure that none is violated in the course of our job. If you’re still searching for where to hire a competent Wills and Trusts attorney Moreno Valley, CA, then come to the below address.